hope you guys had a lovely weekend. they just aren't ever long enough, are they? on saturday my mom & I went to our local fine arts fair in the park, followed by some good finds at a garage sale. 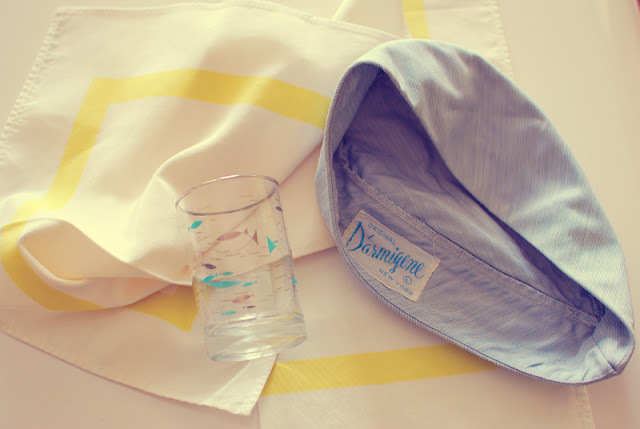 I got these white & yellow linens, this sweet cap (for my sister's hat collection) & this cute little teal & gold fish-pattern glass.